The Estonian president has signed a law that gives the government the right to remove any monuments that ‘glorify nations that invaded Estonia during World War Two. Earlier the “War Graves Protection” bill found overwhelming support in the country’s parliament. The ruling Reform Party claims the bill has been introduced to do just that – protect the monuments and the remains buried beneath them. “These remains, which are buried in inappropriate places, will be moved to real cemeteries. When people waiting for a trolleybus are standing on a grave, it’s not in a Christian manner,” claims Raivo Jarvi from the Reform Party. The Center Party was initially against the bill, but in the end largely abstained from the vote, probably realizing, that it wouldn’t make much difference. 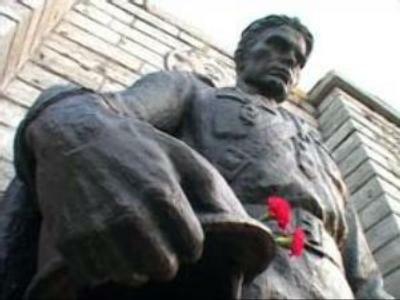 The opposition accuses the ruling party of politicizing the issue of war memorials in an attempt to rally support among nationalists ahead of the elections in March. “The Estonian Parliament’s decision offends the feelings of millions people who fought against fascism, or lost relatives or friends in the fighting. It’s also a bad example for other countries. We won’t leave it like this. We’ll file a law suit against the parliament as allowed by the Constitution,” announced Andrey Zarenkov from Constitutional Party. The law will certainly strike a severe blow to Russian-Estonian relations. Last November, the Russian Duma adopted a resolution that called it “immoral” and “a sort of fascism”. The adoption of the bill could also incite inter-ethnic tension between Estonian nationalists and some 400,000 Russians who live in the country. Ombudsman Vladimir Lukin, Russia's commissioner for human rights, says that the recent decision of Estonian Parliament to remove World War Two monuments could cause a number of problems for the country's image. “It parts Estonia away the European community,” he says.